Welcome to The Lake! Our little piece of heaven is located 40 feet from the shores of Hebgen Lake, fifteen minutes from Yellowstone National Park, ten miles from the blue ribbon trout fishing of the Madison River and forty miles from Big Sky. Centrally located to meet all of your Yellowstone vacation needs. Originally purchased by our parents in 1946 and developed into a fishing resort. The Lake has always been called our home. 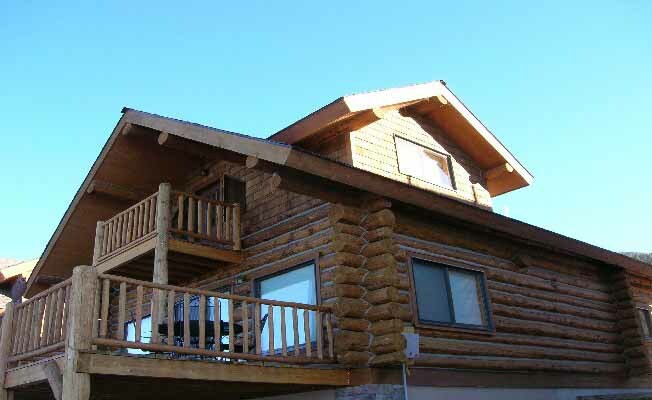 Recently developed into beautiful lake front log cabins; our spacious 2,900 square foot log home is three stories of Montana warmth and comfort. The cabin with boat slip is available for a one week minimum reservation. The main floor consists of the living room with couch and love seat, flat screen TV with VCR/DVD player. Attached dining room seats six at a beautiful twisted juniper dining table; with seating for an additional six at the counter bar adjacent to the dining room. All of which has a breath taking view of Hebgen Lake and the mountain range on the opposite shore. Our all electric kitchen is fully stocked with all your essential needs, with a dish washer for your convenience. The rest of the main floor consists of one bedroom with queen sized bed; across the hall is a full bath with shower and near the back door is the laundry room. The second floor houses two additional bedrooms and the second bath. The Master bedroom has a beautiful queen sized log bed, the adjacent lounging area includes a love seat that pulls out to become a single bed ideal for a young child and a flat screen TV with DVD/VCR/CD player. The second bedroom has two full sized beds with dresser and night stands and closet. Full bath with tub/shower combination is located between the bedrooms and across the hall is a small reading area with a boat full of books for your reading pleasure. The ground floor consists of a large entertainment room with flat screen TV and a comfy pull out double bed. The third bath has a two person steam shower and four person dry sauna. The family room consists of a conversation area with another comfy pull out double bed, pool table, pin ball machine and a wet bar all for your recreational entertainment. Please, consider our home your home while you enjoy the many activities and adventures this region of Montana has to offer you and your family.